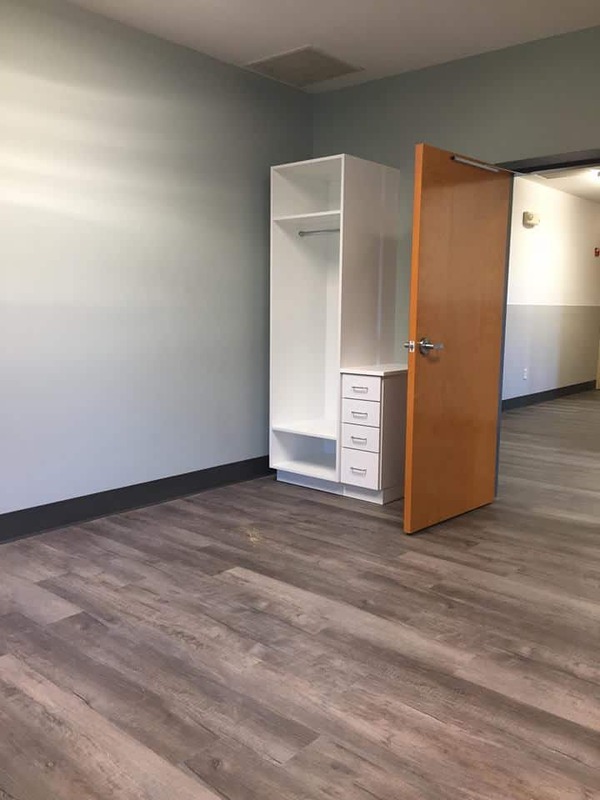 This post is part of a series about the renovation of our emergency shelter. The first phase of our shelter renovation is complete! 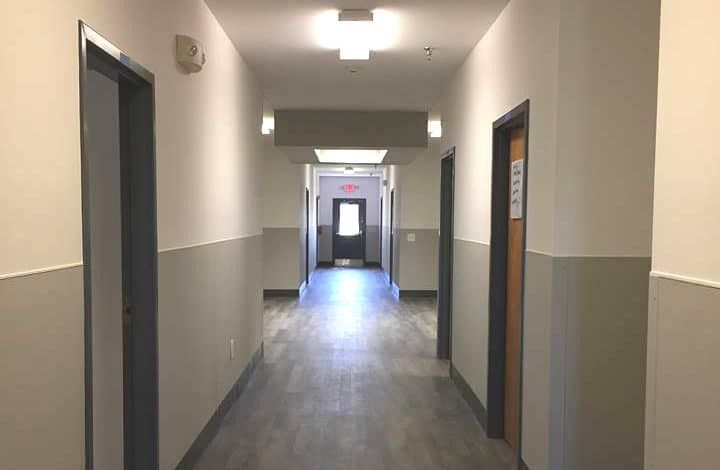 This portion of the project focused on the west wing of the facility and included a new support group room and two additional bedrooms that will provide four additional beds for survivors and their children. 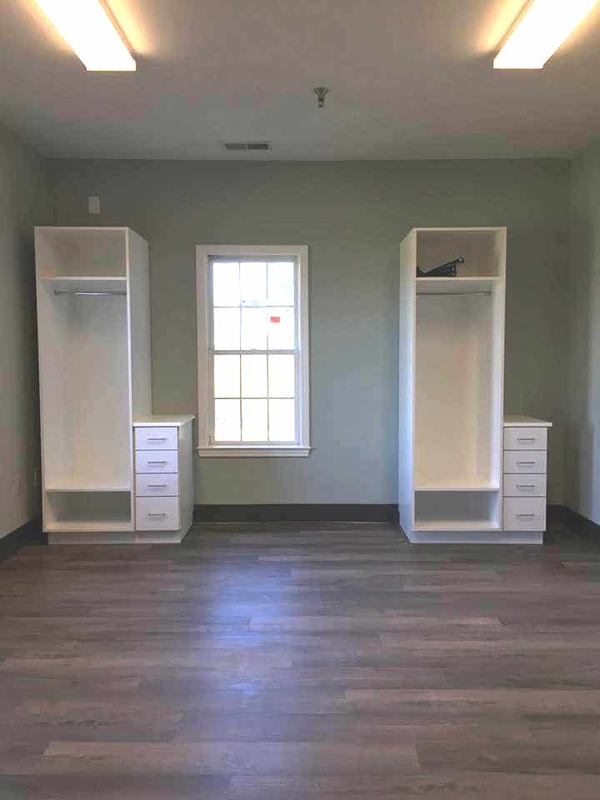 New and existing bedrooms were fitted with built-in closets and storage spaces. Carpeting was removed from rooms and corridors and replaced with high-traffic water resistant vinyl wood flooring. All walls also received a coat of fresh paint. Preparations for Phase II of the project have begun. This phase will focus on shared spaces in the east wing of the facility, including a new large support group and conference room. Learn more about our services during the shelter renovation project at this link.